To get started, select the type of vehicle you want a loan for! The process takes less than 60 seconds. We understand that sometimes things in life happen that are beyond our control. Perhaps you were hurt on the job or lost your job. Whatever the case may be, if you have bad credit, we are are here to help. We will listen to you and relay your situation to one of our many lenders to get you back on your feet and on the road again. If you've paid cash for everything, have just received your first job or are new to Canada and have yet to establish credit, we can help you secure a car loan. We have several specialty lenders with programs for people who have not established any credit history.  Purchasing your first vehicle can be exciting and we work with lending institutions that have first time car buyer programs to get you into a vehicle sooner rather than later. If you're worried about getting financing for your first vehicle purchase, you can relax. Our team helps people like you every day! Park Credit has been providing bad credit car loans for over 20 years. We have the experience and dealership network to be able to get you the car you need for your family at the best possible rate. We specialize in good credit, bad credit car loans, bankruptcy car loans, divorced car loans, student car loans, car loans for immigrants and more. If you’re working with a minimum monthly income, there is a very good chance you can get approved. Fill out our quick application and get started – your credit score will not be affected by your online application. Apply online now and one of our representatives will contact you immediately to continue the loan application. "Dena and Heidi were awesome... they made my purchase easy and quick. Staff were friendly and accommodating"
"Thank you Mark & Attila for all your hard work getting me into my 2008 Accord. Couldn't have asked for a smoother process or a harder working Salesperson." "Great staff and service. They even remind me when service is needed. Above and beyond for sure."  "I had some inquiries and questions regarding credit, Ramod A and Mathew B were able to answer my questions and gave me a great deal on a car. Great customer service, I highly recommend them!"